Feminism seems to suddenly be talked about quite a bit nowadays. 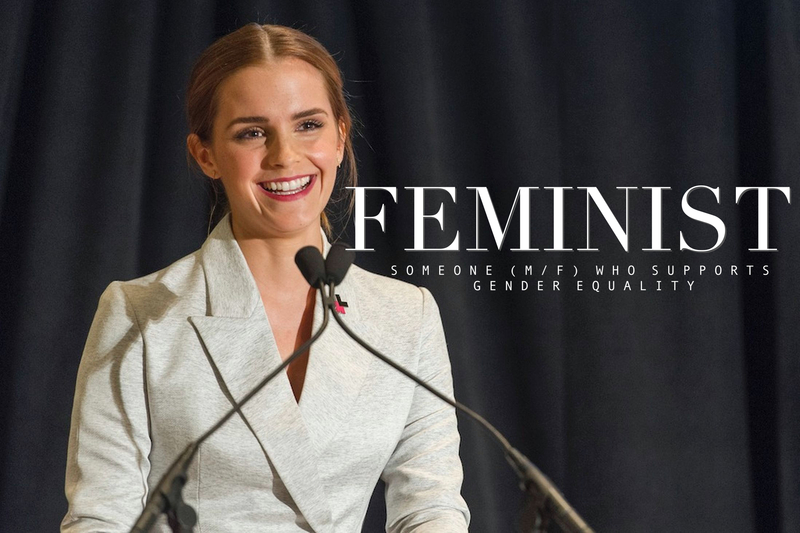 First Emma Watson launched the HeForShe campaign for UN Women and now Elle UK has published a Feminism issue which also presents their line of "This is what a feminist looks like" apparel in collaboration with Whistles (soon more on this on my blog). The topic appeals to me very much and I find it important that people think and talk about it. So in this post I'd like to share my thoughts on the topic and invite you to share your opinion with me and others. But first let me clarify some things. A feminist is someone who supports gender equality, this doesn't mean you have to be a woman in order to be a feminist, nor does it mean you have to look a certain way. As Emma Watson said in her UN speech on gender equality: "fighting for women’s rights has too often become synonymous with man-hating. If there is one thing I know for certain, it is that this has to stop". Feminism is not some kind of battle of the genders, it is about getting equal rights and opportunities for both men and women. So that means that women should get paid as much as men for the same job, but also that men should be able to ask for help when needed without being seen as weak or a loser. Because even though in some places women's rights have been formalised on paper, stereotypes and certain expectations of both genders prevent women and men from being seen and treated as completely equal. Also the fact that people were often surprised (rarely pleasantly) when I told them I was taking computer science modules, and reacted by saying things like "but you're a girl..", made that I felt I had to prove that I, as a woman, belonged in tech just as any man. However, I believe that simply making people aware that men and women are not always treated in the same way in tech (or any other field) is a big step into the right direction. I feel like most people (especially in the Western world) are not not willing to solve the problem of gender inequality, but they are just not aware that it is a problem that (especially) women are struggling with. I hope that once people are made aware, they will help tackle this problem and embrace the fact that they are feminists. Nobody should be ashamed of standing up for gender equality, and thus, being a feminist shouldn't be seen as a bad thing. I can imagine it might be especially hard for men to support a cause that might not seem to be directly geared towards them, but as a man, wouldn't you want your mother, your wife or girlfriend, your daughter, your sister, or your best friend to have the same opportunities and rights as any man?